Who are Professional Plumbing Solutions S.L.? We are Professional Plumbing Solutions S.L. 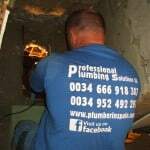 for all your plumbing needs – NO CALL OUT CHARGE. 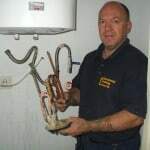 Brian is a fully qualified legal English plumber working in Spain & Liz is his apprentice. Liz has now been attending appointments with Brian for the past 5 years and has quite a sound knowledge of plumbing to assist Brian in his work. 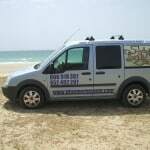 The areas Professional Plumbing Solutions S.L. cover are from Marbella, Puerto Banus to Torremolinos and inland Costa del Sol. At Professional Plumbing Solutions S.L. we aim to provide a high quality service and good customer relations to all our client’s. We always respect our client’s and their property. Professional Plumbing Solutions S.L. treat the client in the same way that we would like to be treated ourselves. After we have undertaken any work we always clean up any mess. Plumbing work on domestic and commercial properties including descaling, servicing and installation of your electric boilers. Reconfiguration of copper/plastic pipe work. 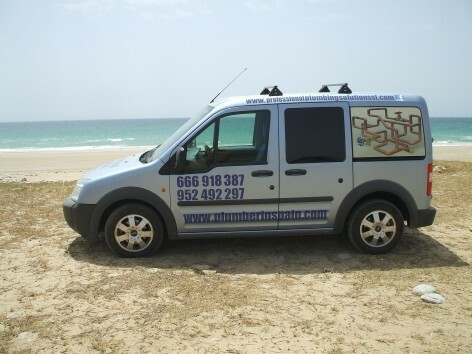 Carry out property maintenance and repairs for rental companies. Installation of water filters and water softeners. Please take a look at our website for all the work we undertake.